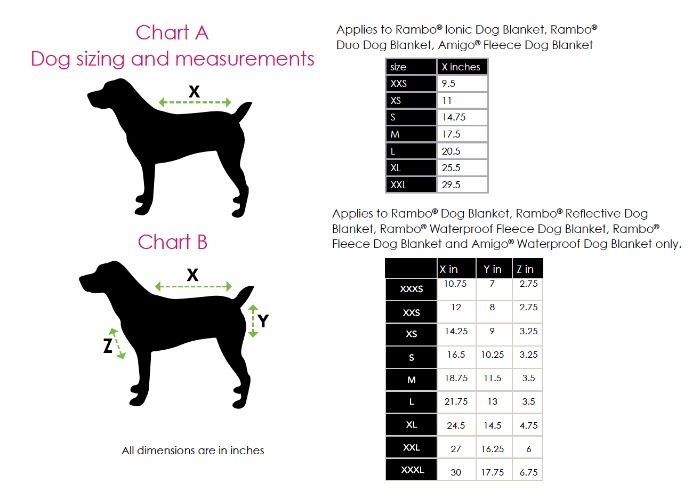 The Rambo® Waterproof Fleece Dog Blanket is a waterproof, lightweight and warm double bonded fleece featuring an adjustable neck closure, leg arch for freedom of movement and elasticated surcingle for a snug fit. A must for any dog’s winter wardrobe. Rambo® Waterproof Fleece Dog Blanket is rated 4.5 out of 5 by 2. Rated 5 out of 5 by Trish from Best made dog coat! This is a wonderfully made dog coat, and very warm - really perfect for the coldest weather, and the fit is excellent. Rated 4 out of 5 by Petra from Love the waterproof fleece I bought this for my dog with some mobility issues because the front is thin. 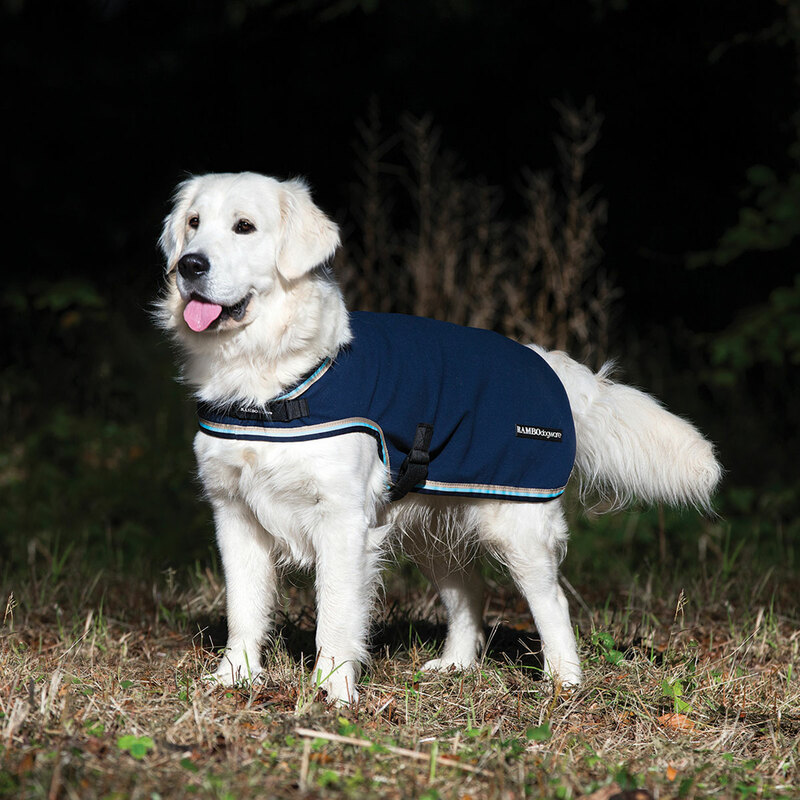 Other waterproof coats have thick attachments across the chest that interfere with his walking. I also needed one that attached in the front and did not have to go over his head. The fleece feels similar to a waterproof fleece coat I have for myself. It is definitely waterproof and windproof but still light. I love it. My dog doesn’t mind it. The only thing I would change is it’s a little extra work to get on because the straps go through a loop and double back which is an extra step when putting it on.